by fway Posted 12th Nov 2008 at 2:12 PM - Updated 31st Jul 2011 at 12:55 AM by fway : Edits Found! Wow, I didn't expect to get one of my creations featured. This is just awesome! Thank you all for making it possible! 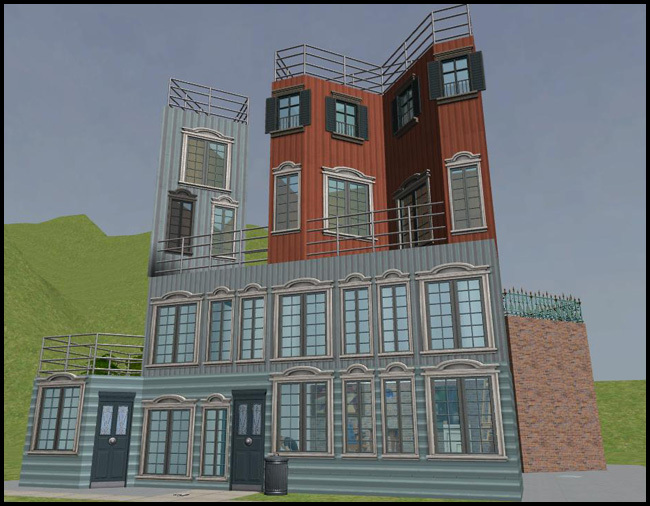 I'm back with my second Apartment Life completer set (first one here) and this time we'll go to the land of Bohemia, where everything is complete. Now, I was going to stop for a while so I can take a quick break from meshing, but I was asked by Emma if I could complete the Bohemian set. You know, the Emma Pescado follows around chanting "DEATH TO EMMA!" I obliged. Anywho, there are oodles of things I've got for you all. There is a brand new door, as seen in the photo above. There are two new arches, and 3 new windows. They all have functioning diagonals. 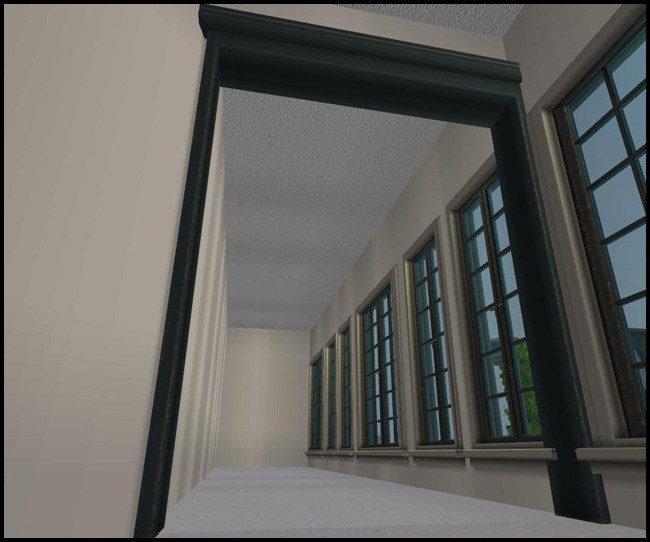 They all use the repository technique, so all you have to do if you want to recolor the whole set is recolor the original windows and door. You can see more by clicking on the thumbnails at the end of this post. 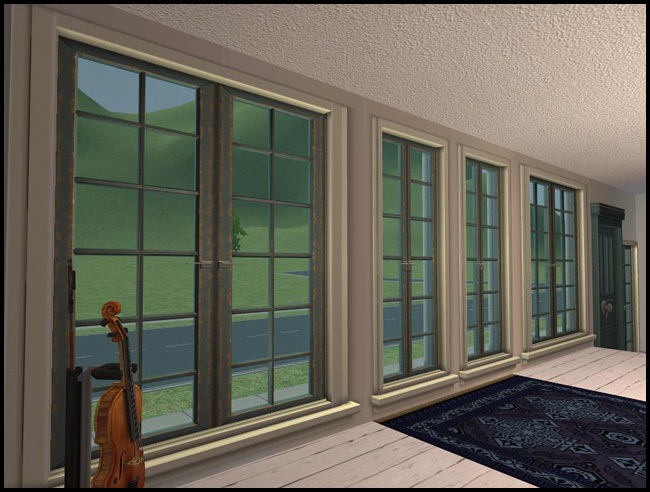 Awesims AKA "I Saw Drones" has made two recolors of the "Old World" window (except the shuttered one) in both black and white located here. Please thank them for giving the recolorists a head start! 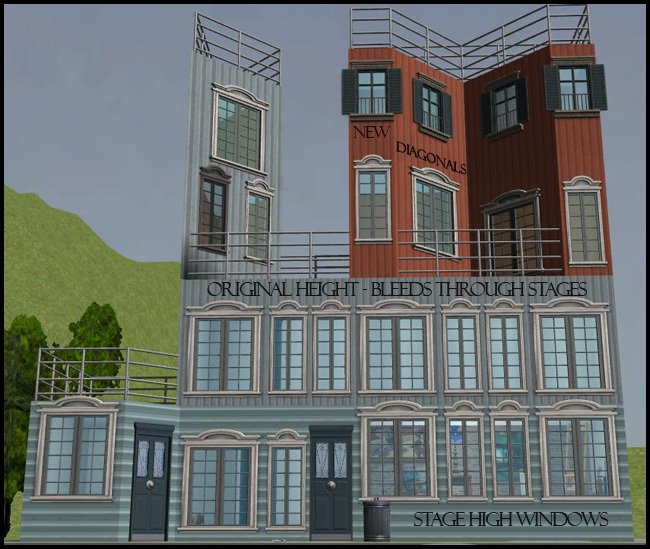 Di, from Di's Victorian Emporium has made mesh edits of the "Old World" windows located here! Go grab 'em! My policy: I ask that you do not redistribute my homes/lots/objects publicly without permission. You may include my objects in your lots, but with proper credit (link/name). Go ahead and share my stuff with your friends via e-mail/aim/PM/etc. HOWEVER, they are NOT allowed on paysites, including the free section of TSR. I don't care how proportionally free to pay, your site is. 99.9% free does not cut it... 100.00% free does. 100% NO EXCHANGE, though. You may include my objects in your lots, but with proper credit (link/name). Credit is not necessary for taking pictures with my objects/things/etc, although a little exposure is nice once in a while; however, if I do get to uploading sims, you must credit who my sim is, if you choose to use them as a model for your objects/clothes/etc. Feel free to improve my stuff; but if you do choose to improve or change-up my stuff, please tell me, I'd love to see what you did! And if you choose to upload it, by all means tell me. Firstly everyone who gave their comments and suggestions, you know who you are. These are the things that really keep me going. IgnorantBliss for her tutorial on the repository technique. Numenor for his little tidbit on diagonals. The creators and devs of SimPE. fway-Hangoverly-BohemiaMatch.zip | Description: ^ DO NOT DOWNLOAD!